It’s no mystery that battery life on mobile devices leaves a lot to be desired. We’re often looking for outlets so we can plug in and get that little extra boost to help our devices make it through the day. One place where it’s not so easy to find an outlet is a vehicle. Car chargers are a great thing to have. 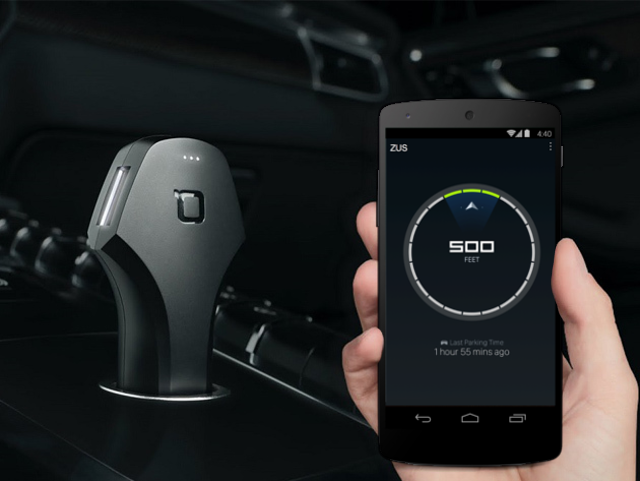 TheZus Smart Car Charger can charge your phone, but it’s also an app-enabled car locator. First and foremost, the Zus Smart Car Charger is great for charging phones. It charges devices up to 2 times to normal speeds of car chargers. But that’s not all it can do. By utilizing Bluetooth low-energy and a smartphone app, you can locate your car with your phone. The app shows you an arrow on a compass to direct you right to your car. It’s really nifty, and now we’re wondering why all car chargers don’t do this. You can get the Zus Smart Car Charger & Locator for just $29.99 right now from AndroidArea.com. The deal is only good for another day, so take advantage of it right now.